UPDATED: Wed., Aug. 1, 2018, 4:06 p.m.
Do Trump tweets cross legal line for obstruction of justice? ALEXANDRIA, Va. – Former Trump campaign chairman Paul Manafort personally directed millions of dollars in international wire transfers to pay for high-end suits and more than $3 million in improvements at his various houses, witnesses testified Wednesday on the second day of his financial fraud trial. The testimony was aimed at bolstering prosecutors’ argument that Manafort orchestrated a scheme to hide millions of dollars in income from the IRS. The accounts from witnesses also contradicted Manafort’s lawyers, who have signaled they will pin blame for any illegal conduct on his longtime deputy, Rick Gates. The prosecution’s focus on Manafort’s personal finances – at times laid out in painstaking detail – revealed the vast amount of evidence gathered by special counsel Robert Mueller’s team against the longtime political consultant. But it also tried the patience of U.S. District Judge T.S. Ellis III, who repeatedly scolded the government’s attorneys for what he said was excessive and unnecessary information. Ellis warned prosecutors Wednesday against using the word “oligarchs” to describe wealthy Ukrainians and admonished them for spending so much time documenting Manafort’s extravagant lifestyle. It’s not a crime to be wealthy, he noted. And the pejorative term “oligarchs” and evidence of home renovations aren’t necessarily relevant to the charges in question, he added. “The government doesn’t want to prosecute somebody because they wear nice clothes,” Ellis said amid testimony that Manafort had spent hundreds of thousands of dollars on clothing. “Let’s move it along,” Ellis said repeatedly. The trial is the first courtroom test for the special counsel, who was tasked last year with investigating Russia’s efforts to sway the 2016 election and to determine whether the Trump campaign was involved. So far, Manafort is the lone person to stand trial as a result of the ongoing probe, even though the charges of bank fraud and tax evasion are unrelated to possible collusion. Still, the trial has pulled back the curtain on the former lobbyist who steered Trump’s election efforts for a time, including descriptions of Manafort’s $15,000 jacket made of ostrich and the more than $6 million in cash he put toward real estate. One witness, Maximillian Katzman, testified that Manafort spent more than $900,000 at his boutique retailer in New York. He said Manafort was the only business client of his who paid via international wire transfer. An FBI agent described the July 2017 raid on Manafort’s Virginia condominium, saying he knocked multiple times before entering with a key. He found Manafort sitting inside. But when prosecutors introduced photos of Manafort’s high-end condo and expensive suits, Ellis interrupted so as to limit the growing list of evidence jurors would have to consider. “That’s not the American way,” the judge said. 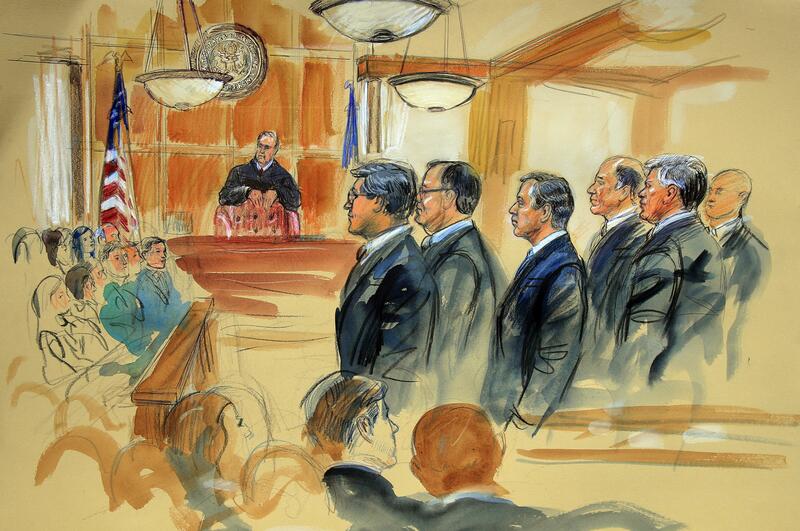 Prosecutor Greg Andres argued that documenting Manafort’s spending for the jury was important to the case. Manafort’s attorneys are putting the blame on Gates, Manafort’s business associate. Gates was expected to be the government’s star witness at trial, but prosecutor Uzo Asonye said he could not say with certainty whether Gates would or would not testify. He later clarified to say that that uncertainty applies to any witness, not just Gates, as the prosecution team assesses the pace of the trial. Published: Aug. 1, 2018, 9:09 a.m. Updated: Aug. 1, 2018, 4:06 p.m.